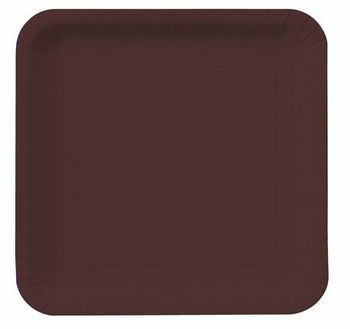 Chocolate Brown 9" Square Dinner Paper Plates 18ct. Chocolate Brown 7" Square Lunch Paper Plates 18ct. Chocolate Brown 2-Ply Lunch Paper Napkins 50ct. 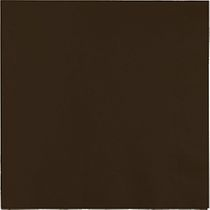 Chocolate Brown 2-Ply Beverage Paper Napkins 50ct. Brown Rectangular Plastic Tablecloths 54"x108"
Chocolate Brown Rectangular Polylined Tablecloths 54" x 108"